The one on the left is the same by the yellow lighter, 1 year later. How to do right by your turtle! Let me start out by saying, these are not cheap pets to keep. 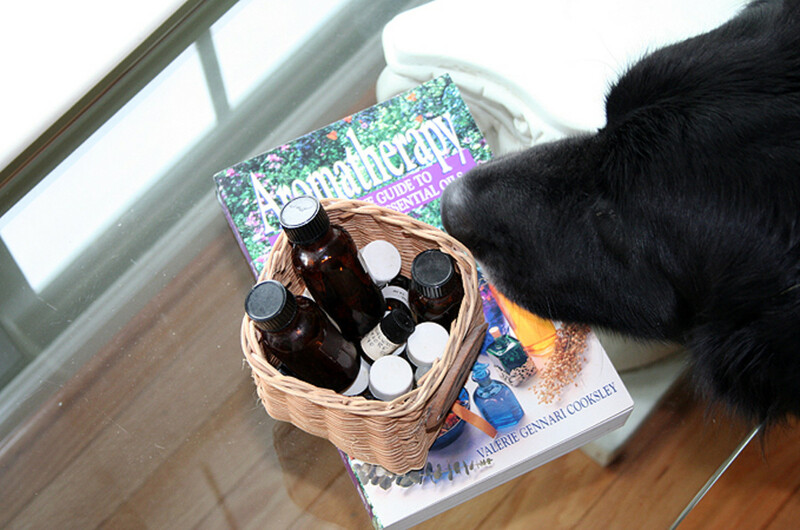 They may seem cheap when you find that you can buy them for only 4 or 5 dollars but adding to that the proper upkeep they need, you're running into thousands of dollars. 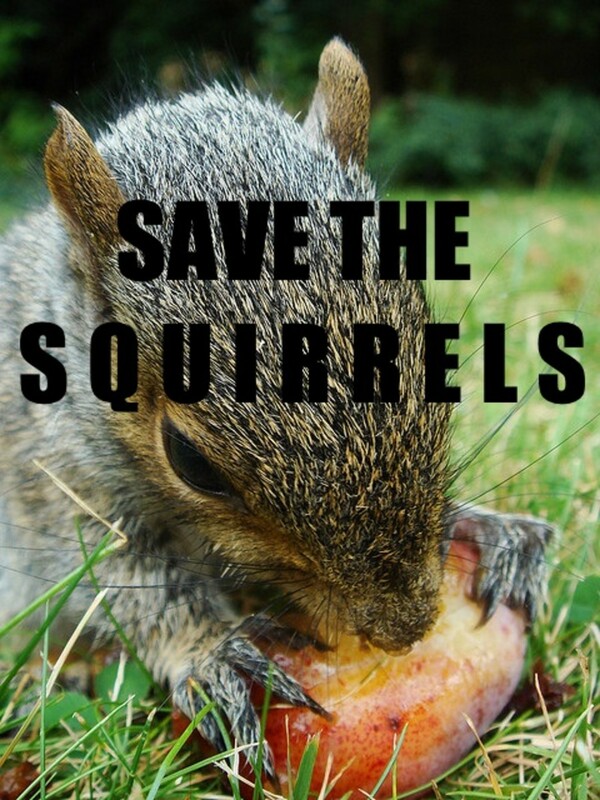 If you cant afford that or you don't want to spend the time, please, don't buy these little guys! Too many of them die each year from people's ignorance and improper care. 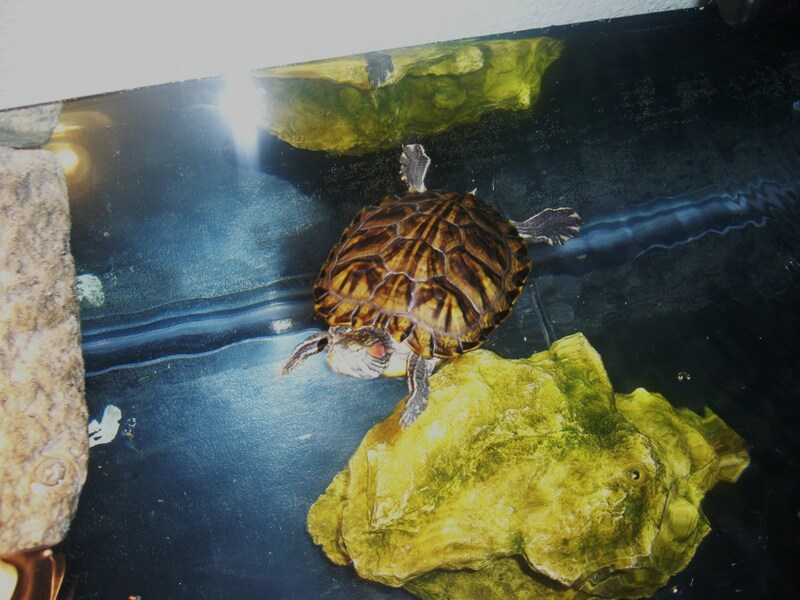 We have 4 red eared sliders. Two are a little more than a year old and two are only about 6 months. Before we got them, we did all the research we could do. We wanted to find out what they ate, what temperature their water should be, what kind of heat lamps they needed, etc. One of the main things they need is water. They need it to swim, to eat and to live. Our little guys have water that's about 12 inches deep. They also need a good sized tank. There are many rules you can follow for this but the main one is so many gallons per inch of shell. If you're not sure of the exact amount, its better to go big. 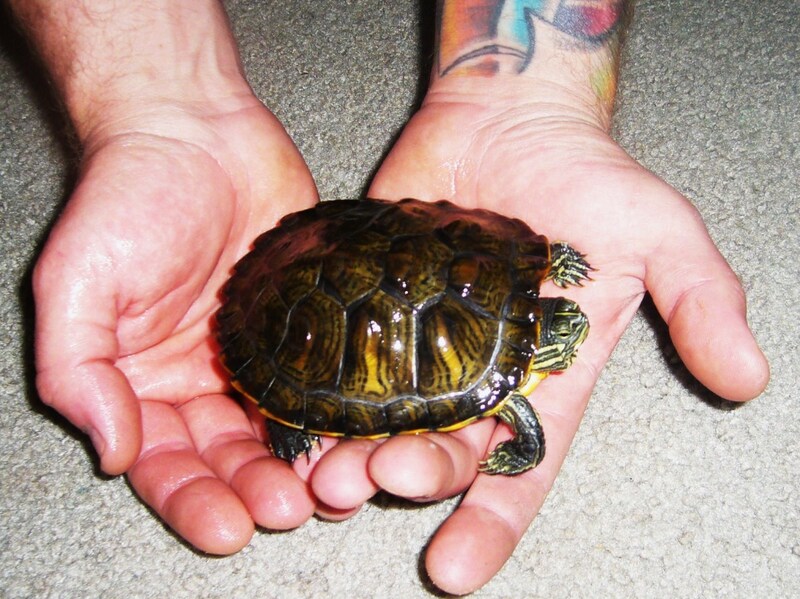 One turtle can easily thrive in a 50 gallon tank for years until he outgrows it and needs something larger. Another thing you will find yourself buying a lot of until you find the right one is a filter. Weve had many in the last year and none of them really work the way they should. Our newest one is HUGE! It still needs to be cleaned once a week. 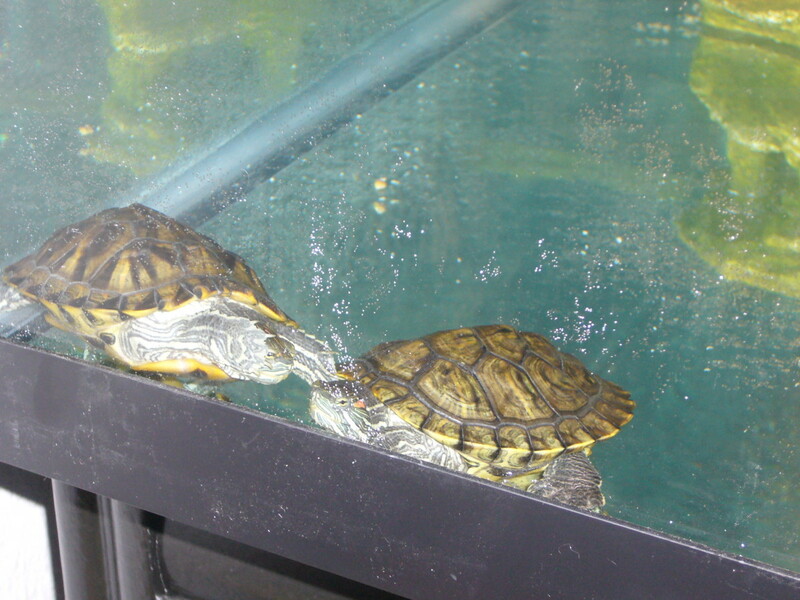 Turtles are a lot of work and the tank tends to smell if not cleaned frequently. An underwater heater was another thing we had to get. 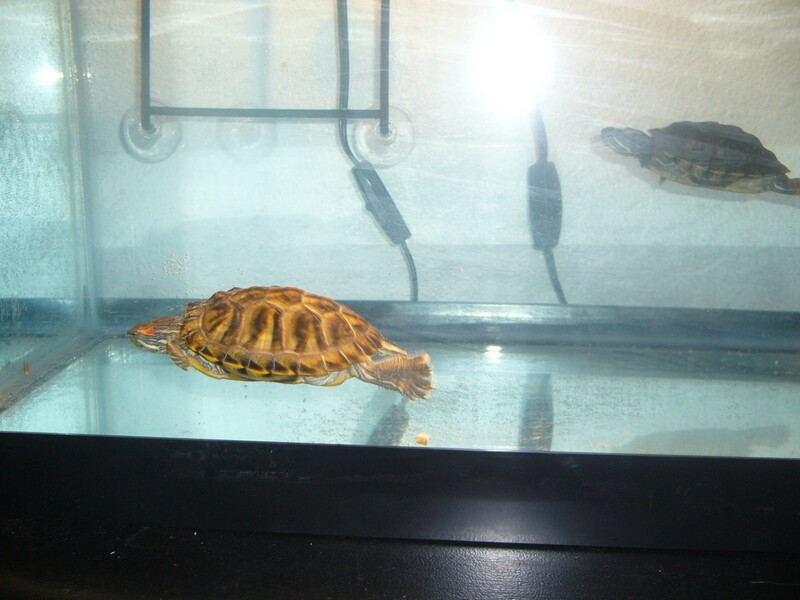 Turtles need water at a certain temperature, about 76-78 degrees. We monitor the temperature with an underwater thermometer. They also need a basking lamp and a "launch" pad that they can get out of the water to get heat from. This is extremely important because this is how turtles regulate their body temperature. Without heat, they will die. Another light bulb we bought was a UVB/UVA lamp. One simulates sunlight while the other acts as moonlight. These lights are a must-have for artificial sunlight since they don't get the real thing. Their lights should be on for about 10-12 hours per day and they must also get about the same amount of time of dark. 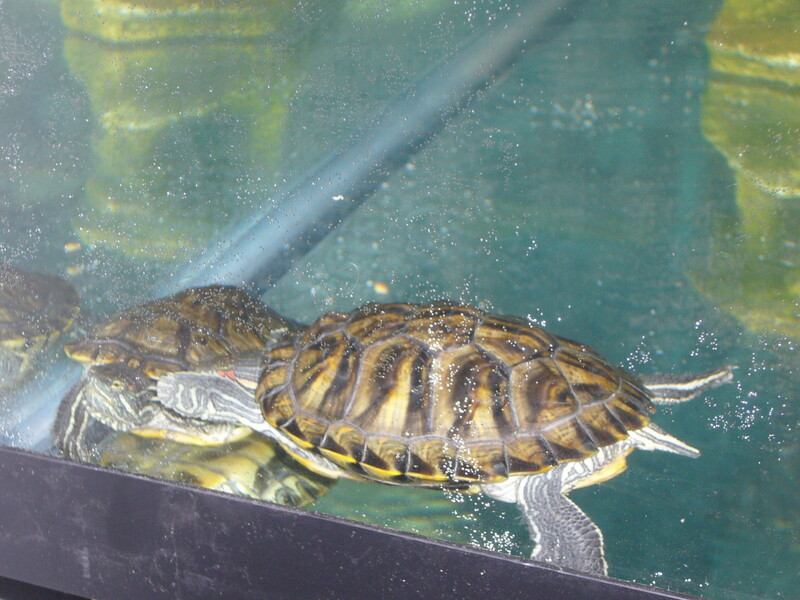 My turtles have hearty appetites and will take food from my fingers but they will only eat it underwater. This is how they digest it since they have fixed tongues. 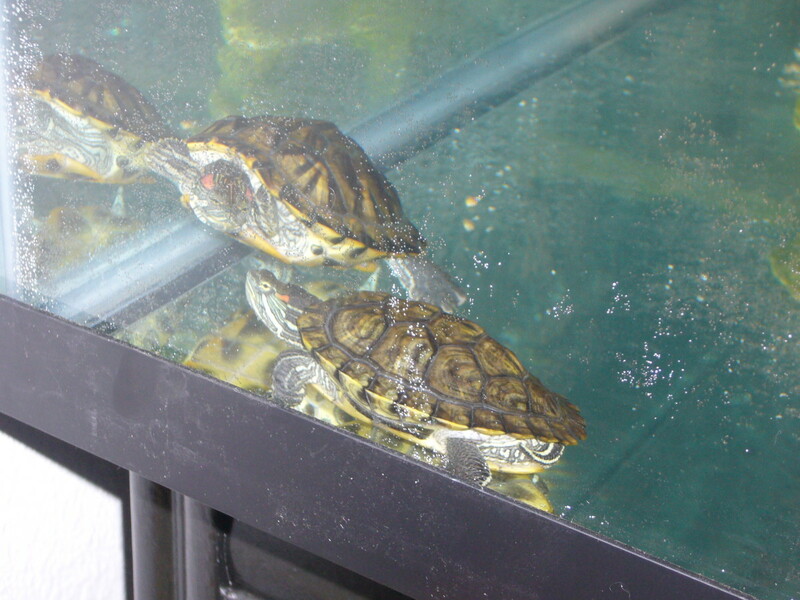 Their favorite food is dried shrimp & dried worms bought from a pet store. 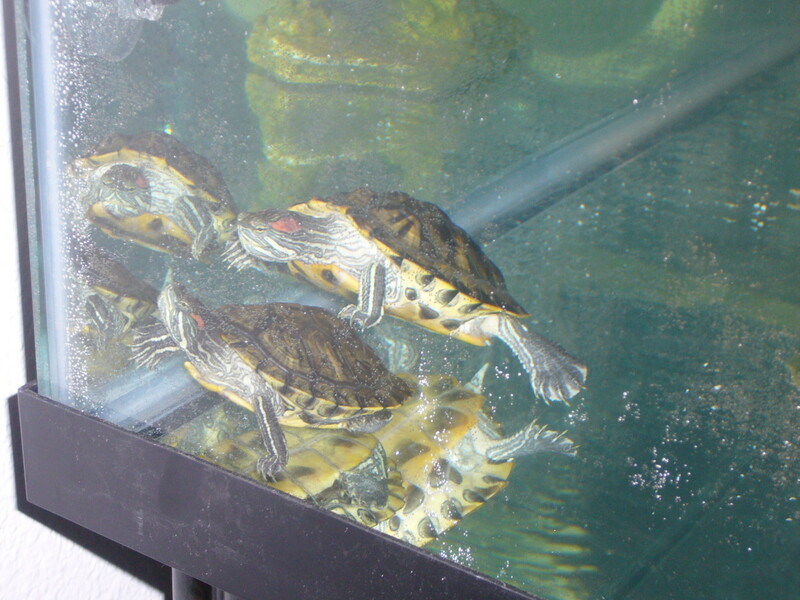 They also love their turtle sticks and pellets. Babies are primarily carnivores but as they get older, they will start to eat more veggies. Right now mine will eat tuna (canned in water) and store bought cooked turkey while being hand fed. They absolutely go nuts for meat! I started handfeeding them by putting a chunk of turkey or tuna between my fingers and offering it to them. They've gotten so used to this that now when I just throw the food into their tank, 2 of them look at me like, "Hey! Arent you gonna handfeed me?!" Most turtles will also eat feeder fish; the ones that cost about .12 cents apiece but mine are too lazy to chase their food, they prefer me to do all the work. 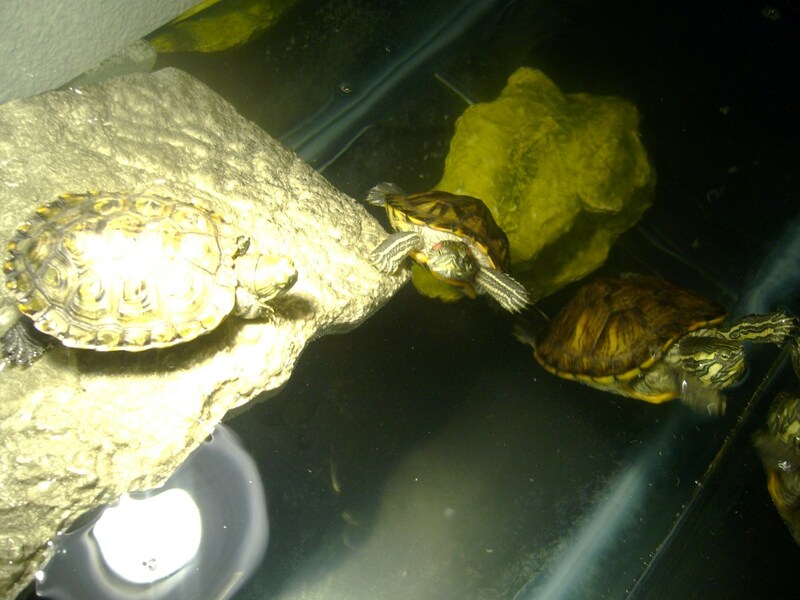 My turtles are like little teeny members of the family to me. I take them outside when its sunny so they can run around in the grass. You do have to watch them though because although they're rumored to be slow, they can run VERY fast. They have different personalities whereas some will run when let down and some will dig in the mud. My biggest one is about 5-6 inches in length and she was the size of a quarter last year. They are all growing nicely and look to me to take care of them. If you are thinking about getting a turtle for your child because you think it will be easy to take care of, think again. Very messy creatures they are. They can also carry salmonella. Children like to put their hands in their mouths and don't often wash. This is where it becomes a problem. People have died from salmonella. You can prevent it by doing something as simple as washing your hands vigorously after coming into contact with a turtle or anything in their habitat. Use an antibacterial soap and teach your child to sing the happy birthday song twice. Then they are done. I love my turtles and wouldn't trade em for anything but they are a lot more work than most people think and I would hate to see more die from peoples lack of knowledge. We bought our turtles at www.turtlesale.com. They will only ship overnight (for obvious reasons) and you get them by UPS. This seemed kind of cruel to me at first, especially when I got my first two and one was upside down but after having them for more than a year and a half and them thriving, I realize I did them a service. I personally feel like I rescued them, if I hadn't of bought them, someone less scrupulous might have. If you want to buy a turtle, I would suggest sticking with only one and at most, 2. As Ive said, we have 4 and they take 10xs the work. I just bought them a new tank, a 50 gallon, for $120.00. Plus more light fixtures and bulbs, food, background, etc and spent almost another $200.00. That's on top of the more than $1000.00 weve already spent on them. I would also recommend requesting two females or two males. Yes, the idea of making lil' turtle babies is endearing but the reality is that the world doesn't need dozens more wee turtles running around. Plus it is illegal to sell them so you would have to keep them all. Unless you have tons of room along with tons of money, it's a no-go. So have fun with your little guys and be good to them. Great post, I know some people who have a small outdoor pond. They have a small turtle that hides most of the time. But it will come out occasionally to sit in the sun. I need help I got too red ear yellow belly slider one girl and boy how can tell age months fore my turtle's floow mee throw facesbook my page Sharise Wells I have 10 gallon tank with light keep save don't how much put there baby's but bigger dollar cone wood help mee don't how feed turtle bites meal warms what they eat how much I feed it too them?. My daughter's teacher bought a turtle at Panama city beach. I think it is a baby yellow belly slider. It has been living in the tiny holding container she bought it in for about six months. I used to go in daily and change the water. This Summer she gave me the turtle to keep because she did not want to deal with it anymore. My funds are low. I want to save this turtle but as I am reading I am getting kind of scared. I've had him for two weeks now. 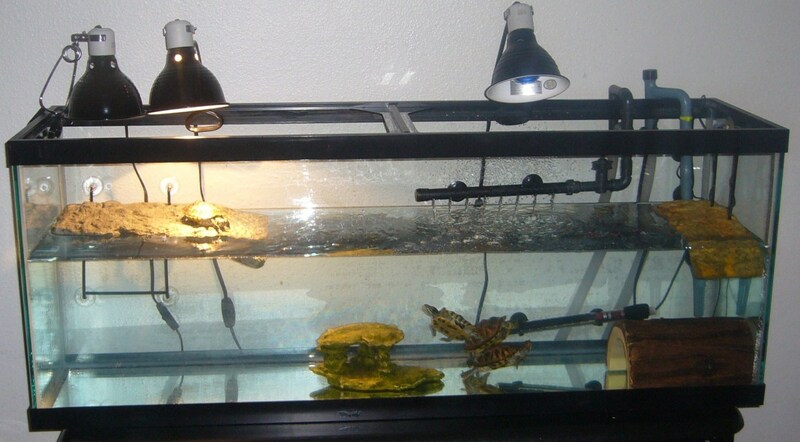 I got a reptile starter tank from walmart with a heating lamp, basking dock and filter. I got pebbles and plastic plants. However the tank is a 10 gallon tank. How long can I keep this turtle in this tank. He seems happy and it's all I can afford right now. 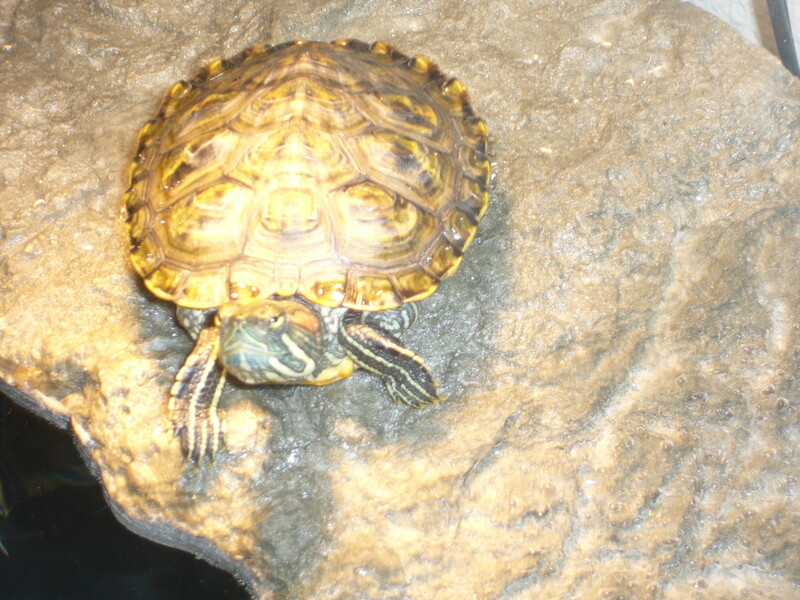 I have one water turtle; not sure if it's male or female. Is it normal for turtles to shed their skin or is this something I need to have looked at by the vet? 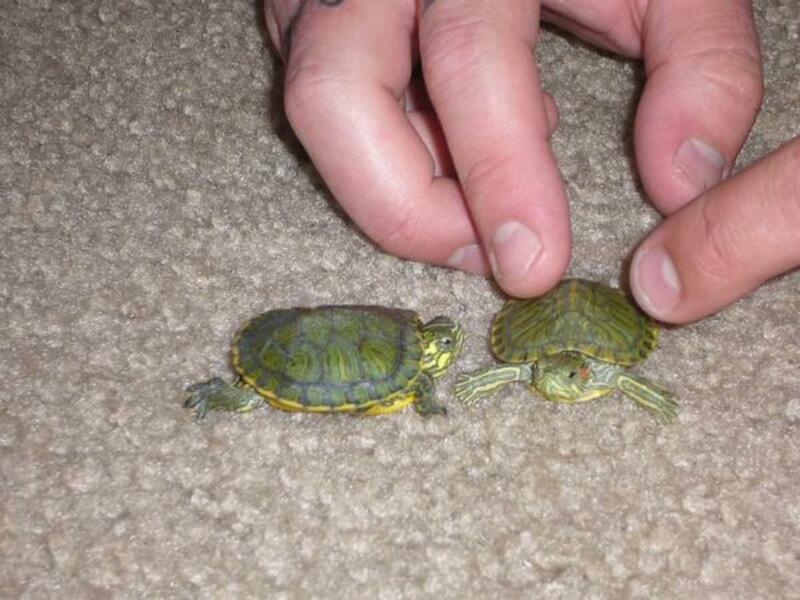 Hey my husband just got us 3 lil water turtles. How can u tell if there male or female? Great info. I also spend a lot of money on teddy my turtle but I. Love her so to me is not about money but the mistakes I have made today she has a 120 gallon tank she loves her space I still use the others filters I purchases before I you recoment they will grow up their tank I have a 10 30 60 gallons tank in my garage I use them the 30 gallon when I clean the big tank every two months it takes me three hours to do a good job every week I pump 30 gallons of water wich I use to water my plants I don't changed all her water only 50% my tank has three filters when she upgrow her tanks I use them I got smart and purchase a 200 gallons filter at pet smart my water is always clean and visit pet smart one a week to check her water . Like you said it is hard work but it is rewarding. She only dry worns organic but you could spend alots of money . I love my small friend. 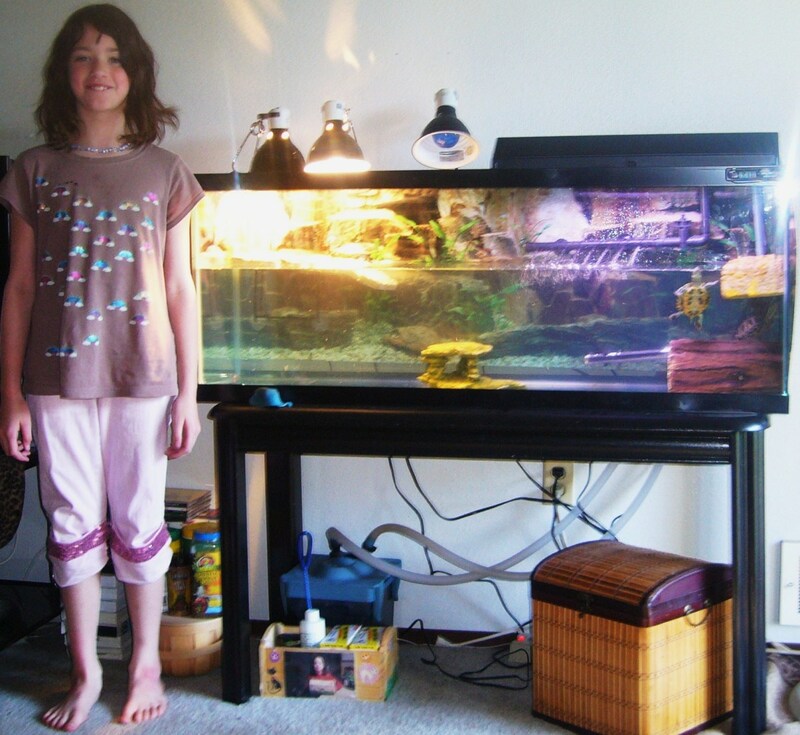 Caring for an aquatic turtle can be easy if you are willing to set up the habitat right the first time to provide all its needs. For assistance Edna the Turtles has gone social and invites questions comments and compliments at her facebook site. Come and friend Edna. what if you keep them without water..? @Frost- They MAY be trying to hibernate or they may be sick. Only way to know for sure is to take them to a vet. Hope they're doing well! @ Susan- YES!!! Hes small because hes got no room to grow. He needs to be moved yesterday! Good luck! Angel- I NEVER said I had money. Im broke as hell! You must have taken that the wrong way. We just got a tiny turtle from a friend in one of those plastic tanks with a palm tree aka turtle killers? I just heard that one. They said they had this turtle almost a year in this thing. If he's used to this set up should we try moving him to a larger tank with lights and filter and will he get a lot bigger? Is he still so small because of the cage size? I assume he's some type of water turtle. Hi, all of your information has been great. 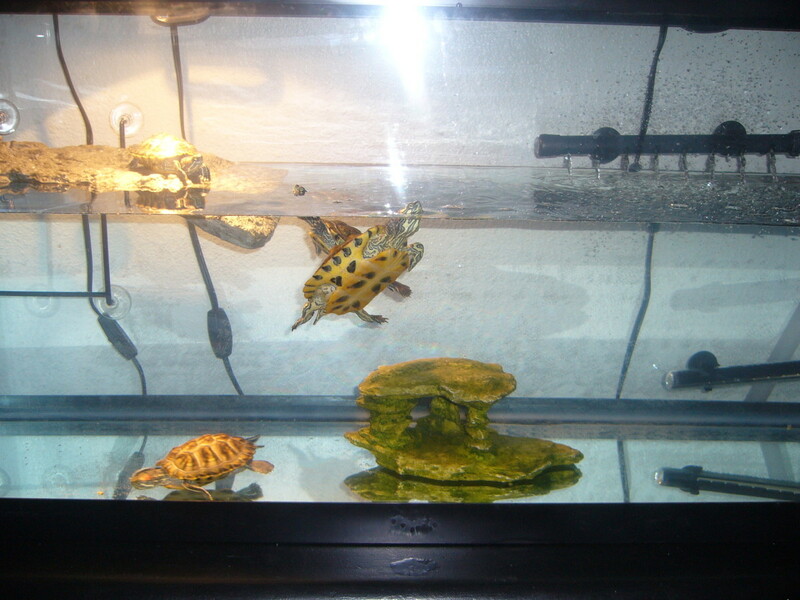 i have two turtles a male and female, they are kept in the same tank and are about 7 months old. Recently though I have started to notice some strange behaviour. They both are normally extremely playful, always hunting for food or basking. As of late though i find them both sleeping throughout the daylight hours and night on the bottom of the tank. 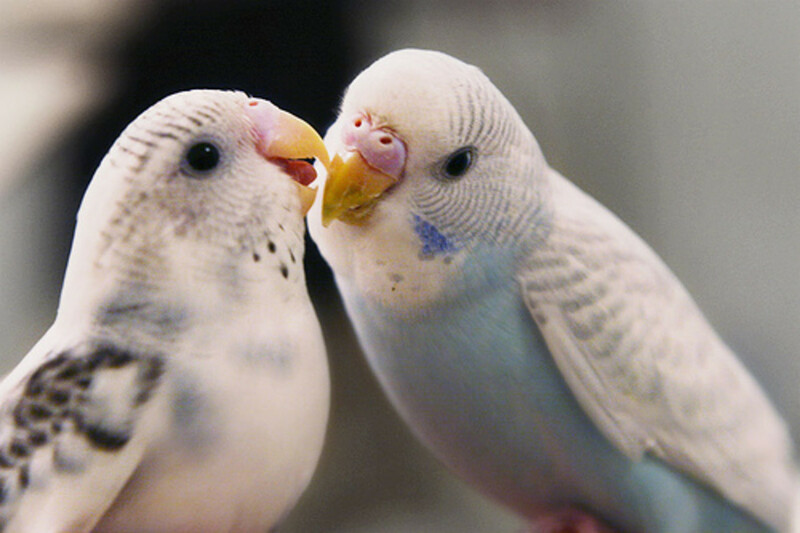 The female is generally under the male one. They still surface during feeding time but their apatites aren't as big as they used to be. The PH levels in the water are perfect the temperature hasn't changed and their diet is more than nutritional for their growing requirements. What is going on with them? Are they trying to hibernate? Jodie-theyre very hard work. 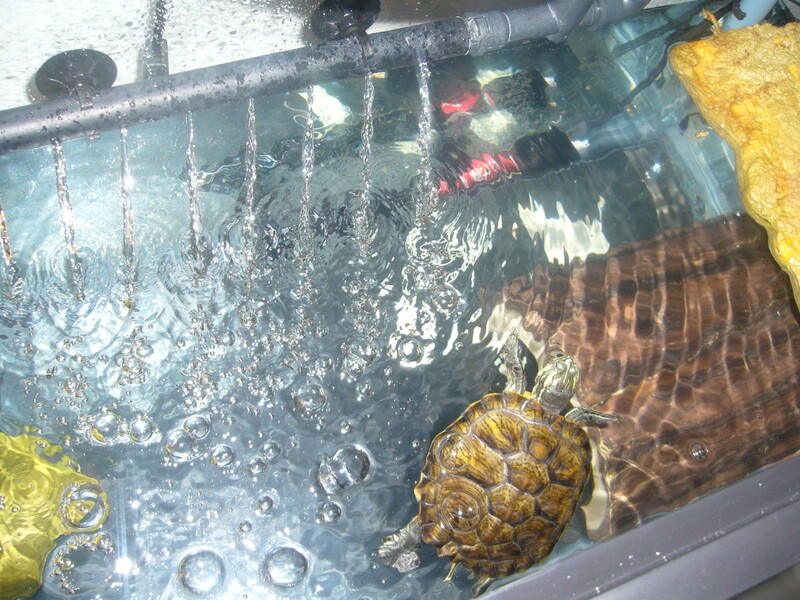 They require regular cleaning, depending on the size of the tank. They also require heat lamps, uva and uvb bulbs, a good strong filter, an underwater heater, and a basking spot under the heat lamp. Otherwise they get sick and die. Trust me on this. It happened to me with my first one many years ago when I didn't know the proper way to care for one. You should really invest in all these things if you want the little guy/girl to live. Id also recommend getting a girl; they seem to be better tempered and their claws don't get outrageously long. Ouch! Oh and Id get a 55 gallon tank (about 120 at petsmart) just because if you get a small tank, they'll outgrow it fast and then you'll have to buy another one. Everything you'd need is at petsmart. Hope this helps! My turtles are now in a friends pond where they have much more room to swim (its about 700 gallons) and are very happy. 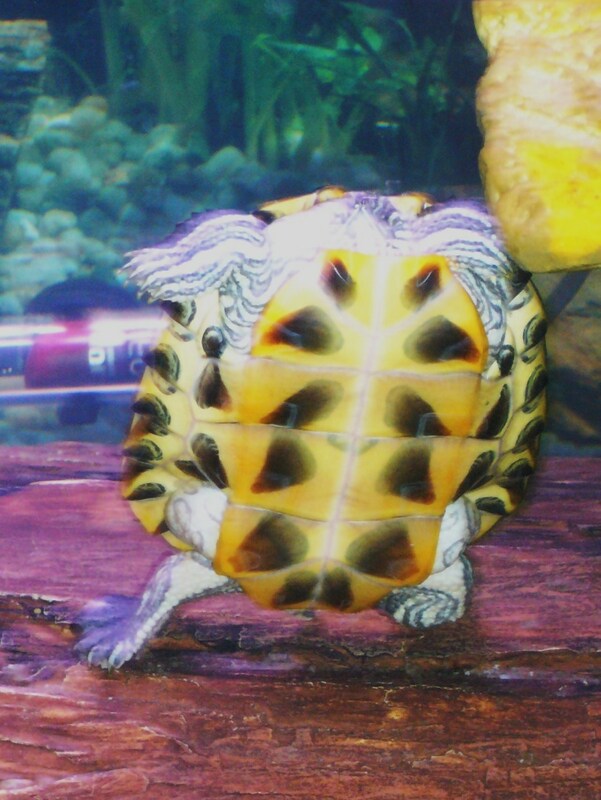 Hello im Jodie and i thinking bout getting a water turtle :)Is it hard work,?do the hav to have light and filter, carnt you just wash the tank regurally?How much could the ideal tank be?and were could i find it?Thanks for your info. How cute! Id love to see a photo! 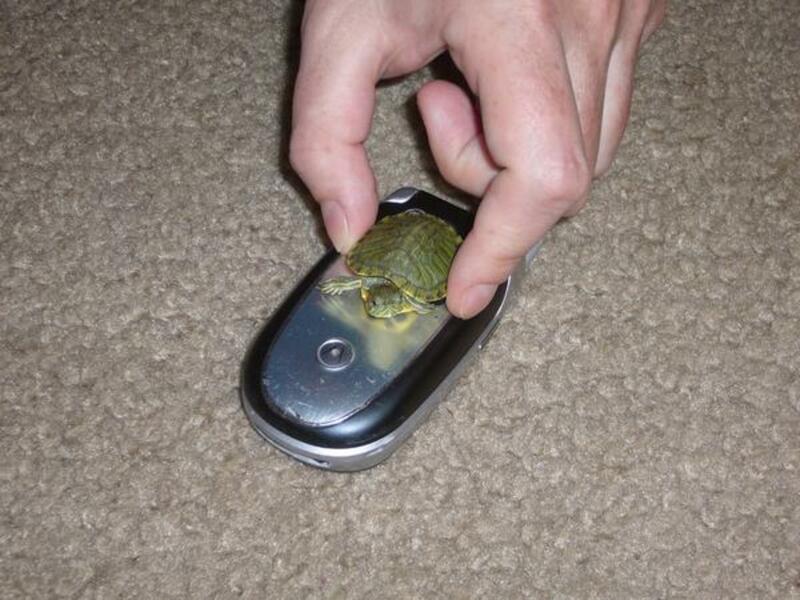 Hi I just read your turtle care information and I taught it was really great. 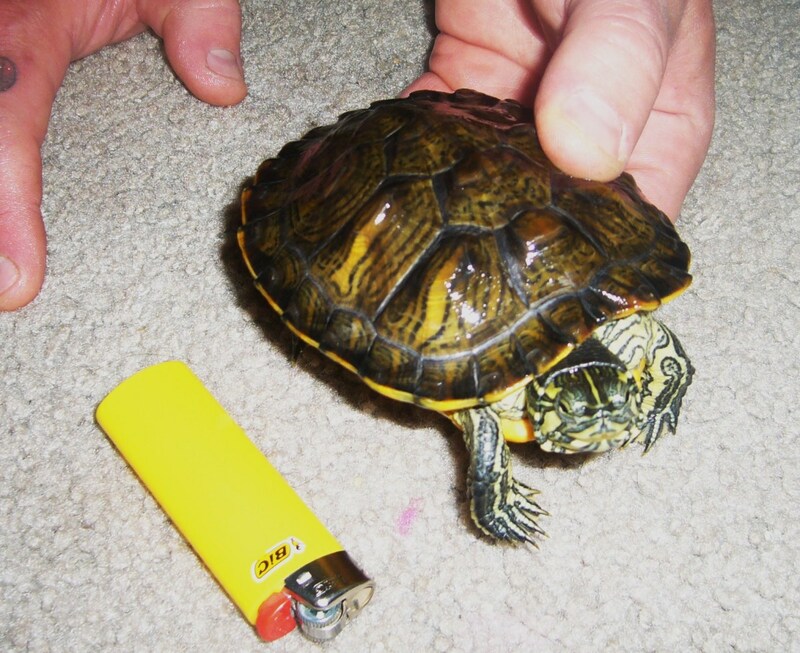 I baught a southern painted turtle from Turtlesale.com just recently after doing all the research. He's a funny little guy who likes to play in the current produced by the filter. I just hope he lives for a really long time because he's already part of my family.